Italian people dream the States, but the american dream is italian food! Take your part in this fantasy tasting our gorgeous selection of gastronomic products. We know you were thinking about it, and now it's real. WE ARE COMING on your table! 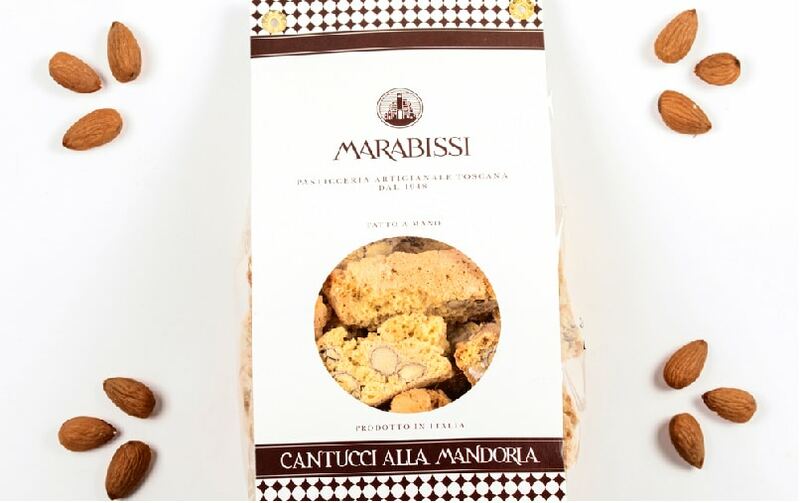 Marabissi’s history began more than sixty years ago representing the best of Italian bakery traditions. 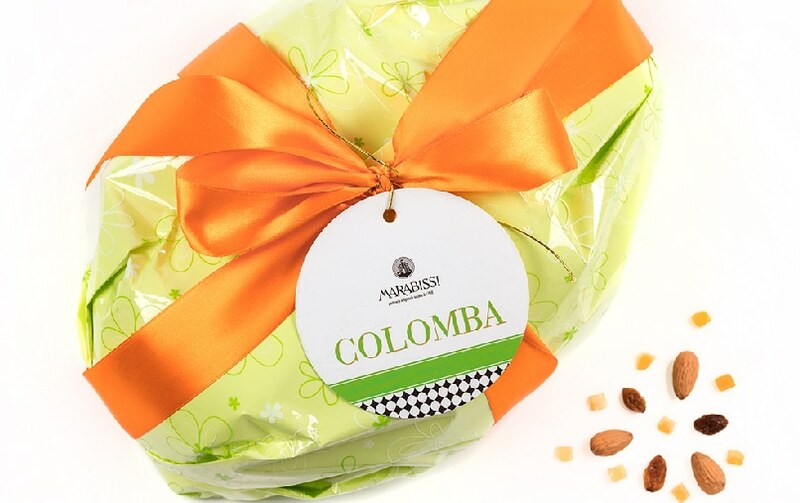 Today you can taste one of those traditional recipe in our box: Colomba. Colomba is one of the oldest dessert in Italy consumed in Easter. A soft leavened cake (similar to Panettone) with a crunchy layer of almond and crystallized glaze on the top. Cantucci are the typical and most famous biscuits from Tuscany, dryed almond biscuit with whole toasted almonds inside; just use the best ingredients and the manual treatment, according to the traditional Tuscan way. Enjoy them in the traditional way, deeping it in a generous glass of Vinsanto, the typical Tuscan dessert wine. Modica’s chocolate owes its success to the characteristic grainy consistence due from cold worked. Its intence aroma makes it perfect for chocolate connoisseurs. 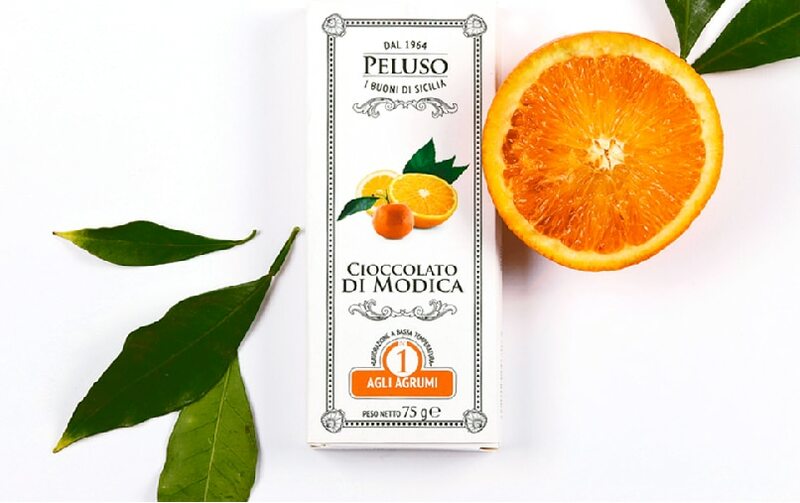 Whole Modica’s dark chocolate taste enriched with sour attributes of citrus. Modica’s chocolate owes its success to the characteristic grainy consistence due from cold worked. Its intence aroma makes it the perfect chocolate for real connoisseurs. 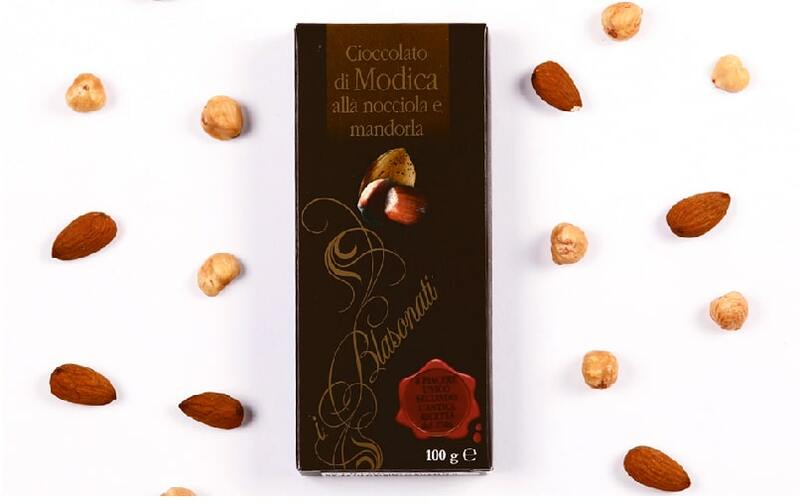 Whole Modica’s chocolate taste enriched with flavour of roasted almonds and hazelnuts. 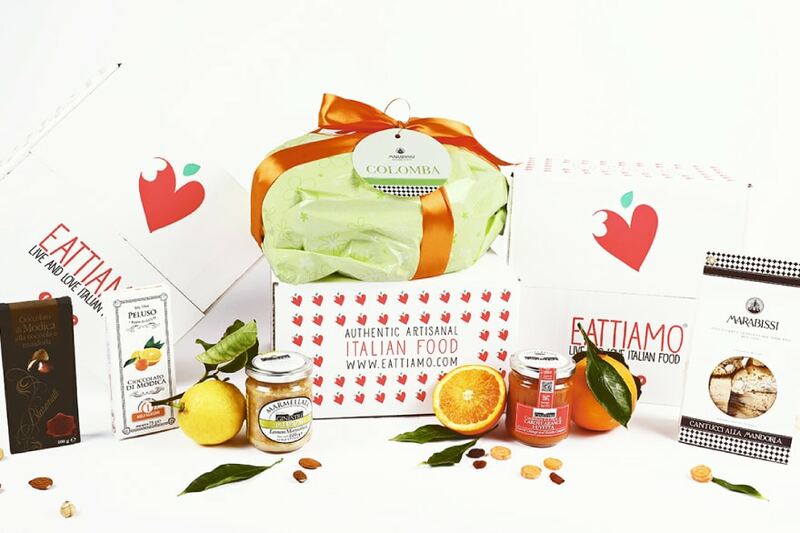 All the flavour and heat of fruits from Abruzzo, a region in the heart of Italy. 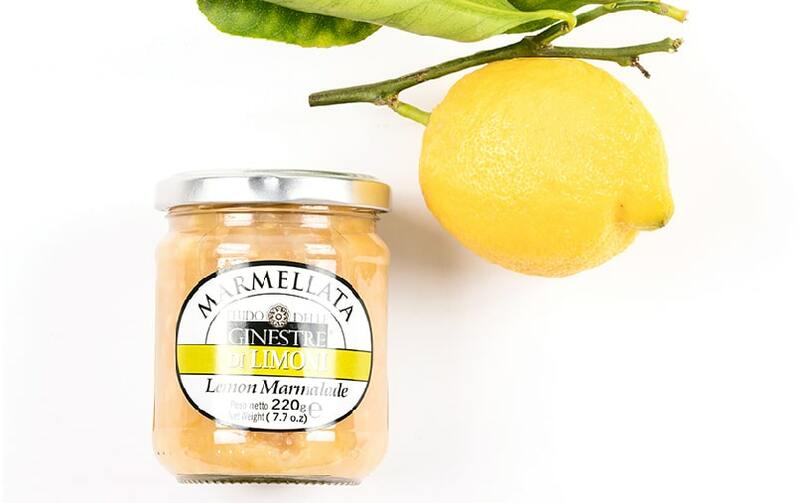 Whole taste of fresh lemons enclosed in a little jar to bring Italian citrus essence on your table. From the delicacy of carrots to the sweetness of raisin, balanced with the sour note of fresh orange. 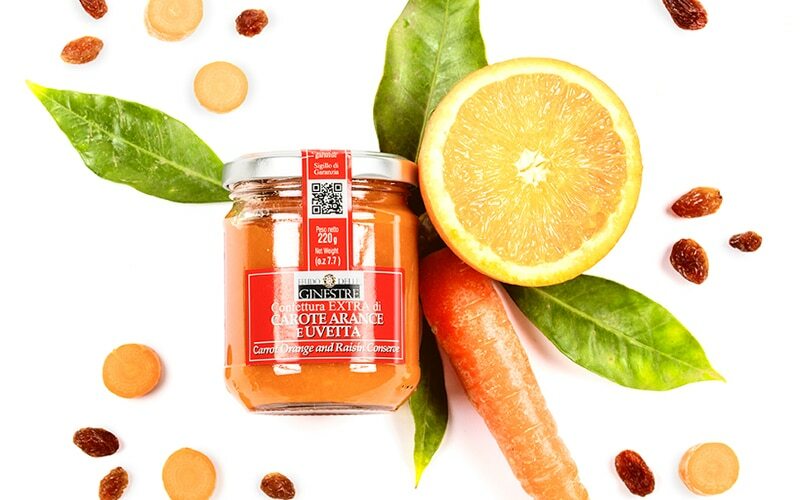 Three traditional Italian ingredients melted in a tasty marmalade to add a little bit of italianness on your breakfast.